"Will it never end for poor Richard Behar? ... Now he's ticked off Terry Reed, a pilot and former CIA operative who was the subject of a Behar article ... Reed claims Behar went after his scalp because he refused to provide TIME with "dirt" against Arkansas cops and Clinton." In earlier articles in this series, FREEDOM exposed reports of drug smuggling, money laundering and other illegal activities centered around Mena, Arkansas -- a quiet town in the western part of the state. "The Drugging of America" has been prepared with the help of local, state and federal law enforcement officials, as well as members of the news media in Arkansas and elsewhere. In the series, FREEDOM has presented accounts of how, in the 1980s, Mena became a base for an international, multi-billion-dollar cocaine transport operation. As described in earlier articles, corrupt U.S. government officials were allegedly involved in covering up the illegalities, which included special aircraft modifications so drugs could be flown into the United States and weapons transported out. One of the main cover stories about Mena has been that drug smuggling, arms running and related Central Intelligence Agency (CIA) covert operations died with Barry Seal, the smuggler. CIA asset and Drug Enforcement Administration snitch who perished in a fusillade of bullets early in 1986 outside a halfway house in Baton Rouge, Louisiana. Few know this cover story better than those personally involved in the smuggling operation or those courageous law enforcement officials who have battled -- sometimes at risk to the lives and welfare of themselves and their families -- to expose the illegal activities and bring those allegedly involved in drug smuggling, money laundering and related coverups to justice. According to knowledgeable sources interviewed by FREEDOM, Terry Reed was one of the players in CIA covert operations based at Mena. Why, then, would TIME have devoted a full page in its April 20, 1992 edition to denigrating Reed and making strange assertions to the effect that he had no connection to the CIA or to drug smuggler Barry Seal? That question may be answered by a lawsuit filed on April 8, 1993, by Reed against TIME Warner Inc., TIME Inc. Magazine Company and reporter Richard Behar, demanding more than $51 million in damages for allegations printed in TIME's April 1992 article. Reed's 31-page complaint, filed in the U.S. District Court for the Southern District of New York, alleges: "The article contained a series of false and highly defamatory statements ... in order to discredit Reed, a CIA asset who took part in significant CIA activity in the mid-1980s in the state of Arkansas involving that agency's covert operations supporting the Nicaraguan contras. "... The article, ironically entitled 'Anatomy of a Smear,' did in fact, and upon information and belief was intended, to smear Reed's name and to completely destroy his credibility." "Everything in [Reed's] Complaint Has Been Verified"
In the TIME article, for example, Behar made an issue about a couple with whom Reed stated he was dining on the night of an alleged conversation with then Governor Bill Clinton. Behar claimed the couple said they had never been to the restaurant with Reed. Reed's lawsuit discredits Behar's claim. It identifies the couple by name (the TIME article did not) as Cheryl and Wally Hall and states that they "never told Behar that they 'had never been to the restaurant with Reed'". Furthermore, the suit states, "the couple refused to grant Behar an interview." As another example, Behar quoted Reed's former attorney, John Wesley Hall, as stating, "I haven't been able to corroborate [Reed's story], that's the problem." The lawsuit charges that was not at all what Hall said. What he actually said was, "I haven't been able to corroborate a few of the details of Reed's story, but that has not been a problem as everything in [Reed's] complaint has been verified." Behar's article contained such sweeping statements as, "The only trouble with Reed's sensational tale is that not a word of it is true." Reed's lawsuit countered this strongly and charged that "Reed was recruited by Lieutenant Colonel Oliver North for the purpose of training Nicaraguan contra pilots. This training took place in or around the Intermountain Regional Airport located in Mena, Arkansas. "... This training was part of the covert resupply network supervised by Lieutenant Colonel Oliver North during the 1980s which provided covert arms and civilian training assistance to the contras in the Nicaraguan conflict." Law enforcement officials have confirmed to FREEDOM that Reed was involved in the covert activities around Men, and that information he provided was accurate. According to the suit, Behar took information obtained from Reed in confidence and used it to try to wrest additional "dirt" and "ammo" regarding certain Arkansas officials. The suit alleges, "When Reed refused to provide Behar with such information and materials, Behar threatened Reed by stating that Behar would write a negative article about Reed, and would include in that article various off the record statements Reed had made to Behar earlier ..."
It also charges, "Despite Behar's promise to Reed to keep confidential the location of Reed, his wife and three children, Behar maliciously disclosed in the article where the Reeds were living." Reed claims Behar was selected by TIME for the article because of his "established proclivity for writing ... slash and burn articles." The lawsuit charges, "[A]t least 7 CIA aircraft that Reed used to train contra pilots in the training program in rural Arkansas in the mid-1980s were both serviced, retrofitted and "laundered" to conceal the identity of those airplanes at Rich Mountain Aviation, at the Intermountain Regional Airport located in Mena, Arkansas, under the management and control of Adler Berriman [Barry] Seal and the CIA." A Continuing Coverup: In the 1980s, the town of Mena, Arkansas, reportedly served as a base for a multibillion-dollar cocaine smuggling enterprise which operated without government intervention. Terry Reed's story -- supported in many details by law enforcement officials at federal, state and local levels -- raises troubling questions about what may have been the nation's biggest cocaine-smuggling operation. How could it have operated with impunity? Who in our own federal government was in league with the smugglers, and for what benefit? It is not surprising that Terry Reed ran into problems after seeking to blow the whistle on accumulated corruption witnessed during his years as a trainer of pilots for the CIA. There are many people who want to keep Mena's skeletons buried. 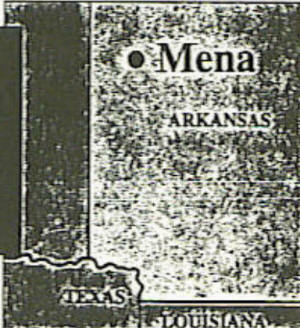 National publications such as The Nation and FREEDOM, as well as certain local Arkansas newspapers, have published accurate accounts of covert activities at Mena. Legislators such as Congressman William Alexander have endeavored to fully open up the matter. Law enforcement officials have pressed for effective investigations, but found their efforts blocked or scuttled. Now it is TIME which is being called to account. The magazine must answer why, instead of helping to raise the lid off the Mena coverup, it evidently sought to drive more nails into it. Analyzing Behar's coverage of the Mena saga, columnist Alexander Cockburn commented in The Nation, "Leaving aside for a moment the matter of Behar's motives, TIME's story was ludicrous, claiming that all reports of contra resupply and CIA activities in western Arkansas stem from allegations by Terry Reed, a former pilot, trainer of the contras and associate of George Bush's pal Felix Rodriguez." Cockburn concluded, "Behar is certainly a terrible journalist ... With TIME's story, it is as if the magazine, back in 1972, had used an interview with Nixon's Attorney General, John Mitchell, to denounce the Watergate revelations as 'a smear.' But then, moments before the final incriminating tape surfaced, in mid-summer 1974, prompting Nixon's resignation in August, TIME ran a cover story implying that maybe the press was going too far in pursuing Nixon." "News Manipulation ... As a Matter of Office Routine"
In the eyes of TIME founder Henry Luce, "News manipulation was sheer policy TIME's way of life, performed as a matter of office routine." TIME was called for comment on the lawsuit, but no spokesman was available. In TIMEspeak, when one throws enough allegations, insinuations, and double-edged questions, the task has been accomplished: the victim, if not dead, has been bloodied and his reputation rendered a shadow of its former self. Terry Reed is one man who is fighting back. Re: "Anatomy of a Smear": The Arkansas Coverup, by Thomas G.
Anatomy of a Smear: Terry Reed loves to tell reporters scandalous tales about Bill Clinton and the contras. The trouble is the stories are false. To hear Terry Reed tell it, during the mid-1980s he was a key player in a covert "resupply network" that flew arms to the Nicaraguan contras and drugs back to the U.S. using a small airport in rural Arkansas as a base. On top of that, the enterprise was personally supervised by Governor Bill Clinton, whose state received 10% of the profits from the operation. And according to Reed, he even discussed the scheme with Clinton while the Governor smoked marijuana in a van parked outside a busy Mexican restaurant in Little Rock. The only trouble with Reed's sensational tale is that not a word of it is true. That inconvenient fact has not stopped a busy rumor mill in Arkansas from cranking out ever more preposterous allegations, nor has it prevented some credulous journalists, including Andrew Cockburn, a columnist for the Nation, from using Reed as a source for absurdly speculative accounts. None of those who are taking Reed's wild stories seriously seem to have asked why Clinton, a vocal critic of U.S. aid to the contras who even then was considering running for President, would have done risky favors for the Reagan Administration. But then again, answering that question would spoil the fun. As with most smears, Reed's allegations are built on a slim foundation of truth. Before being gunned down in Louisiana by a squad of Columbian hit men in 1986, a convicted drug smuggler and DEA informant named Barry seal was involved in something fishy at the airport in Mena, a heavily wooded town 130 miles west of Little Rock. In 1984 Seal played a part in Oliver North's campaign to prove that the Sandinista government was in league with Columbia's Medellin cocaine cartel. In exchange for a reduced sentence on drug-smuggling charges, Seal flew his C-123 transport plane to Managua and piocked up 750 kilos of cocaine from a high-ranking Sandinista official, recording the transaction with hidden cameras. What does this have to do with Reed, a 43-year-old pilot and machine-tool salesman who now lives in Moorpark, Calif.? He claims that in 1983 North recruited him to go to Mena to work with Seal and help train contra pilots. He also says North asked him to donate a Piper airplane to the contras and then report the plane as stolen so that insurance would cover his loss. Later that year, Reed and his wife Janis received a $33,000 insurance payment for the Piper. He says he quit the contra effort in August 1987 after he learned that it involved drug running. For that, he claims, the government sought revenge. Two months later, a Little Rock private investigator named Thomas Baker stumbled on a rusted Piper in a local aircraft hangar. He asked his best friend, state police captain Raymond ("Buddy") Young, who has been Clinton's chief of security for a decade, to run the plane's identification numbers through the FBI's national crime data base. Lo and behold, it turned out to be Reed's missing plane. Reed and his wife were indicted for mail fraud in Wichita. The case was dismissed in 1990 after the government refused to turn over North's diaries, notes and phone records, which Reed claimed would back up his alibi. Since then Reed has been waging a vendetta against Baker and Young. He began by filing a suit accusing them of fabricating a federal crime. More recently he has added Clinton to his list of targets. In an interview with TIME, he breathlessly proclaimed that "I just spoke to my lawyer and he says that a Clinton emergency fund was just increased considerably, and he seems to think that some kind of offer will be made to get this thing to go away." That was news to Reed's attorney, John Wesley Hall, a constitutional expert from Little Rock, who says he actually told Reed that no one would ever settle the suit. Adds Hall: "I haven't been able to corroborate [Reed's story], that's the problem." No wonder. There is absolutely no proof that Reed ever worked with either the CIA or Seal. Oliver North denies that he has ever met or spoken with him. A couple with whom Reed claims he was dining on the night of his alleged conversation with Clinton say they have never been to the restaurant with Reed. Over the past decade, Reed has shuttled from one job to another, leaving behind a string of charges that he absconded with company funds. Among his victims: an Illinois-based Japanese machine-tool company named Gomiya, which currently has a $600,000 judgment outstanding against him. Last month U.S. marshals seized Reed's van for Gomiya. Reed blames the CIA. Given Reed's track record, why does anyone take him seriously? In part because there are so many unanswered questions about what was going on at Mena. In 1988 a federal grand jury that had investigated the affair for three years failed to return indictments, leading some state law-enforcement officers to grumble that the case had been scuttled by higher-ups in Washington. Clinton says the state has done everything it can to solve the mystery. But Charles Black, a deputy state prosecuting attorney, says when he asked the Governor to provide financial assistance so the state could conduct its own grand jury investigation in 1988, Clinton never got back to him. Last year Democratic Congressman Bill Alexander obtained $25,000 from the Federal Government to fund a probe by the state police, who will soon decide how to proceed with the investigation. That is a timely idea, if only to lay Reed's fabrication to rest. 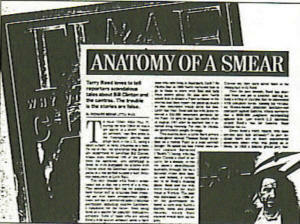 What an appropriate title for your article about my husband Terry Reed and me: "Anatomy of a Smear" (April 20, 1992)! But who is smearing whom, and why? I was distressed to see that TIME used its considerable reputation and authority to pass on to its millions of readers so many inaccuracies and omissions. Example: In characterizing Terry Reed and his "sensational tale" regarding his knowledge of secret contra and associated drug operations, TIME described him as "a 43-year-old pilot and machien tool salesman." TIME does not mention that he served honorably for eight years in Air Force intelligence which included two tours of duty in the most highly classified operations of the war in Southeast Asia. Also, having been almost exclusively self-employed since 1982 by owning and operating his own high-technology marketing/consulting company, he has hardly established a pattern of "shuttling from one job to another." TIME wrote that the Wichita fraud case relating to a missing plane brought against my husband "was dismissed." The truth is that he was brought to trial and found NOT GUILTY (acquitted). In a similar inaccuracy, TIME said that my husband, in subsequently bringing a lawsuit against Tommy (not Thomas) Baker and Buddy Young, chief of Bill Clinton's security force, "has been waging a vendetta." TIME never mentioned that the federal judge hearing the Wichita case wrote that the sworn testimony of these men (Baker an dYoung) was made with "a reckless disregard for the truth." Our federal suit filed in Arkansas names only two people and Bill Clinton is not one of them. Furthermore, no dollar amount has been placed on this suit. The actions that provide the foundation for this suit began in 1987, long before Bill Clinton announced his bid for president. Our intent has only been for a jury to conclude that there was a conspiracy to violate our constitutional rights. Regarding TIME's reference to a judgment, we have made it no secret that Gomiya, a Japanese trading company, holds a DEFAULT judgment which surely will be overturned once their involvement in this affair is exposed. Gomiya's complicity in this matter was discussed in depth with congressional investigators in our 1988 debriefing in Washington. When TIME wrote, "There is absolutely no proof that Reed ever worked with ... the CIA ... [and] Oliver North denies that he has ever met or spoken with him," it ignored two facts: 1) The Classified Information Procedures Act was invoked by the government in our Wichita case when the U.S. Attorney went on record saying that the FBI told him that it had "prior contacts with Mr. Reed [that] involved classified information," and 2) Oliver North has admitted his willingness to lie concerning national security matters and was convicted of doing so. TIME states that "Terry Reed loves to tell reporters scandalous tales about Bill Clinton and the contras" and gives as the main example an article in The Nation by Alexander Cockburn (whom TIME mistakenly identified as "Andrew" Cockburn). But neither of us have ever spoken to Mr. Cockburn or otherwise cooperated with the Nation's story which was drawn instead from court documents, depositions, and other public records. Which, of course, raises an important question: Why did TIME make all of the foregoing damaging mistakes when the truth is in publicly available materials? This is especially puzzling since my husband and I personally supplied most of these materials to the TIME reporter who interviewed us. We have tried to maintain a low profile regarding this case to protect our three small children from additional stress, and have not cooperated in general with the countless media persons, investigators, and political contenders who have pursued us for many months. Nonetheless, if national attention is finally going to be focused on Mena, Arkansas and certain nefarious government activities, then THANK YOU TIME MAGAZINE for your article, even if it had to be at our expense! © 1992 EIR News Service Inc. Question: What do Gov. Bill Clinton, Time magazine correspondent Richard Behar, ex-CIA agent-turned-"investigative reporter" Frank: Snepp, Felix Rodriguez, and Oliver North all have in common? Answer: They have all gone way out on a limb, in some cases knowingly telling baldfaced lies, to discredit a former Air Force sergeant named Terry Reed. If the media-led smearing of Reed succeeds, the two biggest beneficiaries will be Arkansas governor and Democratic Party presidential front-runner Bill Clinton and President George Bush. Both men are deeply implicated in some of the most overtly criminal aspects of the so-called Iran-Contra scandal, including a host of illegal secret operations run out of western Arkansas near the towns of Mena and Nella. Their mutual complicity in illegal drug- and gun-running ought to be a major issue in this year's presidential election -- and Terry Reed could provide the American voters with an earful. John Cummings, an author and newsman who first began probing the Reed-Mena story several years ago, refers to Clinton and Bush as two "Manchurian candidates." In his view, Arkansas was the logical spot to stage U. S. government secret operations. "Arkansas is 'America's banana republic,' " he said in a recent discussion. "It's a state with less than 3 million people, run top-down with a tight grip by Governor Clinton and his entourage. In the Mena area of western Arkansas where the Contra training program was being run, there aren't even any major highways!" Governor Clinton is painfully aware of his exposure in the Terry Reed scandal. Confronted at a campaign appearance in Pittsburgh, Pennsylvania in April by a reporter probing Reed's allegations about illegal Contra operations in Mena, and the role of Clinton's chief of security in its coverup, Clinton flew off the handle, shouting, "That's bull! That fantasy was discredited by Time magazine!" Indeed, Time magazine's Richard Behar did publish a scathing attack against Terry Reed in the magazine's April 20 issue. Frank: Snepp published an only slightly less nasty snipe at Reed in the April 14 Village Voice. Behar's article was long on venom and short on facts, despite the author's lengthy interviews with Reed and two of his attorneys, and his full access to documents and tapes relating to the Reed saga. Reed, commenting on his encounter with Behar, recently told a friend: "He ignored $38 [in photocopying costs] worth of documents." Nobody knows better how gratuitous and factually off the mark the Behar story was, than does Bill Clinton. Terry Reed is a decorated Air Force veteran, trained in intelligence, who was recruited by Oliver North to work on the secret Nicaraguan Contra training and supply effort in Mena and Nella, Arkansas and later in Guadalajara, Mexico. Reed's immediate supervisor in Mena and Nella was the late Barry Seal, a commercial pilot-turned-dope smuggler who, according to John Cummings, began working as a contract agent for the CIA in the early 1970s. In Mexico, according to court documents, Reed worked under the direction of Felix Rodriguez, a career CIA agent whose Iran-Contra activities were closely coordinated with Donald Gregg, then-Vice President George Bush's chief national security aide. When, in June and July 1987, Reed discovered that part of that Contra secret aid program in Guadalajara involved the smuggling of narcotics into the United States, he tried to walk away from the whole sordid affair and reveal to authorities what he had seen. Reed's story not only implicated North and Rodriguez in the illegal dope business; he also was aware of a still virtually unknown North-run grand larceny scheme variously called the "Donor Program" and "Project Donation," which involved the theft of airplanes and the filing of millions of dollars in phony insurance claims -- all on behalf of the Contras. Unlike most of the people hired on to the Contra program, Reed was no mercenary and had no skeletons in his closet. For precisely that reason, Reed's Contra "handlers" made a point of setting him up so that he could be discredited if he should ever break from the "program." After a distinguished career in the Air Force, including two tours of duty in Southeast Asia at the height of the Vietnam War, Reed went into the machine tool business and set up a number of successful manufacturing and sales ventures. He also acquired a pilot's license and a license as a flying instructor. In the early 1980s, Reed helped the FBI probe illegal overseas sales of sophisticated American computer technologies. Reed worked for North and company from 1982-87. As an ex-military intelligence man, he appreciated the importance of not asking too many questions. In return for that discretion, Reed became privy to a great deal of information about the secret Contra supply operation, including the involvement of Israeli agent Amiram Nir (to whom he was introduced, under the pseudonym "Pat Weber," by Rodriguez in December 1986) in the extensive activities operating out of Mexico. When Reed decided to sever his ties to the Contra team, he had to be discredited -- and fast. At the time of Reed's break with Rodriguez, North, and company, Buddy Young was the chief of security for Arkansas Gov. Bill Clinton. Baker was Ii former Arkansas state policeman whose private detective firm was widely rumored to be a front for the Arkansas State Police, according to testimony presented in federal court; in Kansas. As Reed and his wife Janis were preparing to return from Guadalajara to Little Rock in early October 1987, Young and Baker were busy working to frame up the couple on insurance and mail fraud charges. The duo of Arkansas police conducted illegal breakins, committed perjury in both state and federal courts, and planted evidence in order to obtain the Reeds' indictment, according to a federal civil suit filed against Young and Baker by the Reeds in Little Rock last July. The frameup of Terry and Janis Reed was made possible by the Donor Program. While many questions remain to be answered about how Governor Clinton's security chief Young and his friend Baker came to play such a pivotal role in the effort to frame Terry Reed so soon after Reed's stormy break with Felix Rodriguez, court documents in two federal cases paint a detailed picture of how they went about it. On June 21, June 22, and Oct. 6, 1989, Buddy Young and Tommy Baker testified under oath at a series of suppression of evidence hearings before Judge Frank G. Theis in U.S. District Court in Wichita, Kansas. The case, United States of America v. Terry Kent Reed and Janis Reed (88- 10049-01), charged the couple with defrauding their insurance company out of $33,000 by falsely claiming that their 1978 Piper Arrow PA 28, tail number N2982M, serial number 28R7803158, had been stolen at Joplin, Missouri Municipal Airport in March 1983. The indictment was based on the fact that in early October 1987, as the Reeds were returning to the United States from Guadalajara, Tommy Baker "discovered" that Reed's missing Piper Arrow was sitting in a hangar at North Little Rock Airport. The hangar was subleased by a company owned by Terry Reed. Baker claimed he was walking by the hangar when suddenly the wind blew the door open and he spotted a plane.' 'I'm one heck of a detective," he boasted to the court in the course of explaining how he deduced that there was something illegal going on in the Reed-subleased hangar. Baker claimed he called Young at the Governor's Mansion immediately after he discovered the "suspicious" plane inside the hangar on Oct. 8, 1987 and asked him to check the plane's N number with the federal authorities to determine whether the plane was stolen property. He ran a parallel check via another Arkansas State Police officer, who searched the Federal Aviation Administration's computer list of stolen or missing aircraft. According to Baker and Young's original story, the initial N number check did not register as a stolen plane with either the FBI or FAA. Baker claimed that he went back a second time to the hangar the following day and searched the plane for other records that might reveal something more about the mystery plane. On this second illegal entry into the hangar, Baker claimed he discovered a pouch of documents indicating a different N number and a different serial number for the plane. When the second numbers were run through the federal computers, they revealed that the plane was Terry Reed's "stolen" Piper Arrow. According to the Young and Baker testimonies in June 1989 at the first suppression hearing, the "discovery" of the stolen plane was simply the result of good detective work by a civic-minded ex-cop. Baker claimed that he went back a second time to search the plane because the N number painted on the tail of the plane "didn't look right." Then, Young, according to his sworn testimony, contacted the El Paso Intelligence Center (EPIC), a federal antinarcotics intelligence task force specializing in U.S.-Mexican border trafficking, where he claimed that he received word that Terry Reed was a suspected narcotics trafficker operating out of Guadalajara. "Q: Now, in this document [an FBI report on an interview with Buddy Young in October 1987] on the second page, the second paragraph, could you read that, please? "Q: Captain Young, where did you get that information? "A: I got that information from EPIC ....I ran an inquiry under the name of Terry Reed. They told me that they had a Terry Reed on file, that he resided in Guadalajara, Mexico, and I don't know for sure what else was said." Young further claimed that he never bothered to write up any reports on the airplane discovery because he was too busy handling Governor Clinton's security to get involved in the routine theft investigation. In fact, Young finally got around to writing up reports several years later, once the federal prosecution of Reed got under way. By this point, Young had been promoted from lieutenant to captain. Even though he back-dated the reports to create the false impression that they had been written in October 1987, he mistakenly listed his rank as captain. At the first opportunity, according to Young's suppression hearing examination, he passed the entire matter on to the FBI. Nevertheless, Young shepherded the case through to the point of obtaining a search warrant to enter the North Little Rock Airport hangar and seize the Reed plane. That took place on Oct. 14, 1987. The Baker and Young version of the events, as presented in an oral affidavit by Baker before Pulaski County Circuit Court Judge Harlan Weber on Oct. 14, 1987, and before federal Judge Theis on June 21-22, 1989, presented a straightforward case of good police work paying off. • FBI National Crime Information Center (NCIC) computer records showed that while Buddy Young had requested searches on the two N numbers, the first number to be checked was the original number on Reed's stolen plane -- not the number painted on the tail. he two checks took place just two minutes apart on Oct. 7, 1987 -- the day before Baker claimed that he had "discovered" the open hangar door. Further, an employee at North Little Rock Airport testified at the suppression hearing in Wichita that he had been approached by Baker, who told him that he was going to search the hangar on the basis of a law enforcement "tip" that there was a stolen aircraft hidden inside. • Young admitted under oath on June 22 that he had placed a pretext call to both Terry and Janis Reed's mothers to find an exact address for them in Mexico. Young claimed he made this call after Baker had stumbled upon the stolen plane. However, telephone records and affidavits by both women proved that the calls hat! taken place on Oct. 3 at the latest-four or five days before Baker's encounter with the wind-swept hangar at North Little Rock Airport. • In fact, in late September, Reed's mother received a pretext call from an Arkansas state trooper named "Ogden," who was ostensibly trying to contact Reed to get him to take out an advertisement in Trooper magazine. Reed spoke to "Ogden" by phone from Guadalajara in late September, and was puzzled how the Arkansas cop had ever gotten his name. "Ogden" claimed he had gotten Reed's company name from the Little Rock yellow pages, but Reed's firm had been dissolved well over a year prior to the call. Although Buddy Young denied under oath that he had ever heard of any trooper named "Ogden," the incident demonstrated that interest in Reed had perked up at the Arkansas State Police very shortly after Reed's falling out with Rodriguez. • Arkansas State Police records demonstrated unambiguously that the Young-Baker chronology was phony and that the operation against Reed had been launched much earlier than Young and Baker claimed. The state criminal investigation number assigned to the Reed case was issued on Sept. 30, 1987 -- a full week before the initial encounter with the stolen plane in the Young and Baker version. "Records of the DEA [Drug Enforcement Administration] El Paso Intelligence Center (EPIC ) reflect two reports made to EPIC involving aircraft N2982M. "On May 24, 1983, EPIC was notified that the Joplin, Missouri Police Department reported to the National Crime Information Center (NCIC ) that aircraft N2982M was reported stolen on May 23, 1983 from the Joplin, Missouri, airport. "On Oct. 16, 1987, it was reported to EPIC that the Arkansas State Police, Little Rock, Arkansas, reported aircraft N2982M was recovered on Oct. 16, 1987, from a hangar in Little Rock, Arkansas, where the owner Kent T. Reed (a.k.a. 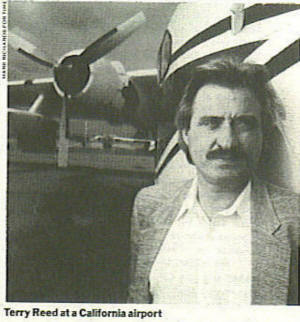 Terry Reed ) hid the aircraft to collect the $33,000 insurance claim. "EPIC records reflect no other inquiries in connection with Terry Kent Reed and aircraft N2982M." In other words, EPIC's computer files showed no record of the inquiry by Buddy Young that the governor's security chief claimed he made in his sworn testimony in Wichita on June 22, 1989. If Buddy Young didn't get the Guadalajara drug allegations about Reed from EPIC, where did he get them from? Perhaps from Felix Rodriguez? These discrepancies prompted Judge Theis to find in an opinion and order dated Dec. 18, 1989 that Young and Baker's statements "were made with at least reckless disregard for the truth." Nevertheless, he refused to summarily dismiss the case. Terry Reed would eventually win a full acquittal nearly a year later (the case against Janis Reed was already dismissed by Judge Theis ) on Nov. 9, 1990. In a highly unusual development; on June 1, 1990, several months after Judge Theis had ordered the Arkansas State Police to turn over to the defense all records of their investigation into Barry Seal and Mena, prosecuting attorney Robin Fowler invoked the Classified Information Procedures Act (CIPA), expressing concern about a number of sensitive national security matters that might come up in the course of the defense case at trial. Usually, CIPA is a tool employed by defense attorneys seeking to force dismissal of a case rather than reveal government secrets. But in this case, it was the prosecution that expressed worry over the public disclosure of secret information. Fowler's remarks on June 1 included the following: "I'm concerned with the potential testimony of Wayne Barlow, an FBI agent working out of Oklahoma City. He has in fact told me that some of his prior contacts With Mr. Reed involved classified information. The second area of concern is information accepted from the FAA Intelligence Division. A third area of concern involves information accepted from the DEA, the EPIC organization. The fourth, information potentially that would be brought out on direct or cross [examination]- particularly that of Oliver North, Jack Blum [a Senate investigator on the staff of the Foreign Relations Committee who probed Contra drug trafficking] and Robert Johnson [an executive for Southern Air Transport, one of the key proprietary companies used to funnel arms to the Contras]. Particularly, there is concern for information that the director of the CIA has been ordered to produce in regard to certain files and information from the national security archive; and finally there's the possible testimony of the defendant which may or may not implicate classified information." Ultimately, the prosecution agreed to a stipulation of facts that were insufficient to convict Terry Reed of the charges. In a brief non-jury trial before Judge Theis, Reed was acquitted. In a closing comment, Judge Theis expressed his "regret" that the case didn't go to trial "because I think it would have been an interesting trial for the court to sit on . . . far beyond the confines of just a simple insurance fraud case." Perhaps not coincidentally, Feilx Rodriguez had been served with a subpoena to appear as a defense witness on Oct. 16, 1990 -- less than a month before the government threw in the towel. Although Judge Theis was absolutely right in lamenting the fact that the full Terry Reed story would not come out in his courtroom, significant elements of the story do emerge from public documents in the court file. From these records, it is possible to piece together a profile of the so-called "Donor Program" and how it figured in the frameup of Terry Reed. On Feb. 10,1989, defense attorney Marilyn Trubey filed a motion for discovery, demanding "all documents relating to Oliver North's involvement with the Donor Program," among other key evidence. "In February 1982, Terry Reed first met the person whom he later learned was Oliver North. In March 1983, North described to Terry Reed the Donor Program, in which the United States government was soliciting donations from private individuals to fund the Nicaraguan Contras. North asked Terry Reed to consider donating his plane to this program. Mr. Reed did not agree to do so. "On March 24,1 983, Terry Reed learned that his airplane was missing from Mizzou Aviation at Joplin, Missouri, where the plane was being repaired. The theft of the plane was reported to law enforcement officials and to Mr. Reed's insurance company. After Terry Reed had received reimbursement from the insurance company for the theft of his plane, he received a telephone call from Oliver North, in which North hinted that the plane had been taken for the Donor Program. "The plane was later returned to Terry Reed by William Cooper [an old acquaintance from their days in Thailand] and William Sawyer. Cooper informed Mr. Reed that he was working for Southern Air Transport in connection with the Donor Program. Cooper told Mr. Reed that Reed would have to store the plane for a couple of months. The return of the plane was followed by a telephone call from Oliver North, who also told Mr. Reed to store the airplane for a short period of time." Reed was an involuntary participant, a victim, in fact of the Donor Program. The theft of his plane from Joplin airport at the outset of his dealings with North and the Contra "Enterprise" conspirators was an insurance policy of sorts to create the option to set him up should he ever get out of line or talk about what he had seen. Reed's defense attorney alluded to this in a court hearing before Judge Theis in 1988, when she described what happened after Reed discovered the drug trafficking in Guadalajara: "At this point, Mr. Reed ...tells Rodriguez that he will not be involved in this and that he is going to return to the United States and find out what is going on." The next thing Terry Reed knew, he and his wife were indicted. The full extent of the theft and insurance fraud operation apparently run by Oliver North under the guise of the Donor Program is not known. Nor is it known how many would-be Contra backers voluntarily participated in the grand larceny and insurance fraud scheme, or how many, like Terry Reed, fell victim to their own patriotic impulses. However, Terry Reed did keep meticulous records of the Contra training program that he and Barry Seal ran in the Mena-Nella, Arkansas area between 1984 and 1985. Reed recorded the N numbers and serial numbers from seven different planes that Seal gave him to use in the training. Reed was training Contra pilots and· ground crews in nighttime supply drops, using terrain that was very similar to that in the areas in and around Nicaragua where the Contras were operating. A dogged investigation by Jerry Bohnen, a radio reporter with KTOK-AM in Oklahoma City, revealed that each of the seven aircraft used by Reed in Mena and Nella had been affixed with the N numbers of existing, legitimately owned and registered airplanes. The N numbers selected were from matching airplanes (Le., the sable manufacturer, year, and model). However, all seven of the planes used at Mena, according to the actual original serial numbers, were stolen at the time Reed used them. In all but one of the cases, the owners collected full insurance claims on the missing planes. The Donor Program, in other words, was a very sophisticated operation that required access td government computers, the Federal Aviation Administration's files, etc. According to an unconfirmed report, a loophole in federal tax codes even allowed insurance companies to write off their share of the losses. As the result of the short-circuiting of the Wichita trial, and the lack of interest on the part of any state or federal agencies, no hard answers have yet been gotten to some puzzling questions. What was the link, if any, between Buddy Young and Felix Rodriguez, Oliver North, and the other alleged players in Project Donation? And to what extent was Buddy Young operating on behalf of his boss, Bill Clinton, in seeking to frame up and silence Terry Reed? Terry Reed will get his day in court -- despite the best efforts of Bill Clinton, Time magazine, and the local Arkansas newspapers, the Arkansas Democrat-Gazette, to preempt him. The federal civil suit that he and his wife filed against Buddy Young and Tommy Baker (LR-C-91-414 ) is tentatively scheduled to go to trial in September. Sources close to the case say that Terry Reed still has many cards up his sleeve, and that they will show Bill Clinton and his closest friends and associates to have been pivotal players in the whole sordid operation. The problem is that by September, Contra cowboy Bill Clinton could be the Democratic presidential candidate running against Contra commander George Bush and Contra cash cow Ross Perot. If that is the case, then the American people will be the biggest losers. The time is now to force Clinton to come clean on his role in the Terry Reed affair. WHEN Bill Clinton ran for the US presidency four years ago, Republicans tried to prove that, as a student, he burnt the Stars and Stripes in protest at the Vietnam War. Now Dr Roger Morris, author of an astonishing new book called Partners in Power, claims that, in the late 1960s, Mr Clinton worked as a source for the Central Intelligence Agency. So, was the young Clinton a patriot or just an opportunist? He was certainly no dangerous radical. "No attack by his reactionary opponents would be more undeserved than the charge that young Bill Clinton was 'radical'," concludes Morris. According to the book, the bearded, dishevelled Rhodes scholar was recruited by the CIA while at Oxford - along with several other young Americans with political aspirations - to keep tabs on fellow students involved in protest activities against the Vietnam War. Morris says that the young Clinton indulged in some low-level spying in Norway in 1969, visiting the Oslo Peace Institute and submitting a CIA informant's report on American peace activists who had taken refuge in Scandinavia to avoid the draft. "An officer in the CIA station in Stockholm confirmed that," said Morris. The Washington Establishment would like to dismiss this troubling book as the work of a fevered conspiracy theorist. But Morris is no lightweight. He worked at the White House in both the Johnson and Nixon administrations, resigning from the National Security Council in 1970 in protest over the US invasion of Cambodia. He went on to become an acclaimed biographer of Richard Nixon. As a member of America's tight-knit association of retired intelligence officers, he has access to highly privileged information. "It's an incredible network," he explained. "They pass you along from source to source." The CIA started recruiting campus informants under President Lyndon Johnson when he demanded hard proof that there were, in his words, "commie money and organisers behind this student s***". The programme, known as Operation Chaos, would offer informants a wide range of inducements: a little cash on the side; taking care of their draft problems; and promises of future help. "You know, if the agency's in a position to help at some point in their careers, there'd be an institutional memory," explained one CIA officer. "They knew the advantages of helping out." Rhodes scholars such as Mr Clinton were favourite targets for recruitment. This caused serious friction with Britain's MI5 because it violated a US-UK agreement that neither country would conduct covert operations or recruit on each other's home territory. "Because of the sensitivity of the UK, these kids were treated in some ways like high-level agents," recalled one officer. In the mid-1970s the CIA shredded its archives on Operation Chaos. One of those involved in the purge of the records told Morris that he had seen Bill Clinton listed as a former informant who went on to run for political office. "He was there in the records, with a special designation," the official is quoted as saying in the book. Mr Clinton's alleged ties to the CIA would explain some later episodes during his tenure as Governor of Arkansas, when his state became a staging-point for President Ronald Reagan's secret effort to supply the Nicaraguan Contra rebels. An Arkansas State Trooper, L. D. Brown, has testified in a deposition that he was inducted into the CIA on Mr Clinton's suggestion, and then went on two clandestine flights to deliver weapons to Central America. Mr Clinton was even commended for his "patriotic" work by the Reagan White House after he had sent the Arkansas National Guard to Honduras for manoeuvres. The deployment was a ruse by the Pentagon, according to Morris. The Arkansas Guard left its "excess" inventory behind, providing a cache of weapons that were slipped to the Contras. Even Hillary Clinton was a Cold Warrior of sorts. Described in Morris's book as "a closet Contra supporter", she quietly aided Contra fund-raising in Little Rock. She also used her influence in US liberal circles to undercut the legitimacy of peace activists and pro-Sandinista church groups opposed to President Reagan's policies in Central America. The point is not that Bill and Hillary Clinton are Right-wingers in disguise - although Morris demolishes the pretence that they were progressive reformers in Arkansas. It is that they have no conviction, no ideology, no guiding purpose. Driven by raw ambition, they will make any compromise necessary to advance their interests. Morris violates all the taboos. Impatient with the manicured myth that Bill Clinton was the apple-pie boy from Hope, Arkansas, he reveals the little-known fact that the President spent much of his childhood in Hot Springs, the capital of gambling, drug-smuggling and organised crime in the central United States, where his powerful uncle and mentor, Raymond Clinton, was a member of the Dixie mafia. For Morris, ensconced in his New Mexico mountain retreat, the American political system is now fatally corrupted. Democrats and Republicans noisily dispute how many angels can fit on the head of a pin. But both are indentured servants of the permanent government -- "a bureaucracy so self-corrupted it is unfit for democracy" -- and the interlocking interests of the lobby machine to be found on Washington's K Street. It already looks as if the US media will try to ignore Partners in Power, which is to be published next week. "Their reaction is entirely predictable," said Morris. "If they were to behave any other way, my book would not be true." More Shoes Are Dropping on Clinton: This time, scandal may overturn the bandwagon. Bill Clinton now moves east to the big industrial states with the plea that the race is all but wrapped up, and that Democrats should unify behind him and commence the long march toward victory over George Bush. There are compelling reasons to ignore this invitation. First, there is still an able contender in the race, Jerry Brown, who has shown he can ignite ample constituencies. Brown has important things to say and can boast two terms running California, one of the largest economies in the world. He does not carry the personal baggage that has already nearly sunk the Clinton campaign. Leave aside, for a moment, the personal scandals. Over the last month, Clinton had the chance to slip free of their shadow long enough to put forth his program and his vision. His inadequacies at once became obvious. He has passion only when denying that he's an adulterer. There is little in his long record as governor of Arkansas to lure the voter. On big issues -- the environment, labor rights -- he sold out. On most others he has hopped from one side of the fence to the other. Faced now with the challenge of how to handle a $6-trillion national economy in the midst of structural change, Clinton comes up with footnotes: an apprenticeship training program here, an accelerated highway bill there. Search his campaign literature for anything on worsening income distribution, the aerospace industry decline, the banking crisis, the consequences of speculative investment, high long-term interest rates, debt burden, declining productivity, the environmental crisis, and the candidate is tongue-tied. Meanwhile, Republicans are licking their lips at the prospect of facing Clinton in November. Expect no mercy toward the draft dodger and alleged womanizer, whose successful efforts to get Gennifer Flowers a state job are a matter of record. Clinton's financial ties are similarly fragrant. The man who is campaigning across the country as the candidate of the common man and who calls for "fundamental change" has been monetarily fueled by a man linked to one of the biggest banking scandals in the nation's history. Arkansas financier and political king-maker Jackson Stephens, with his son Warren, has helped raise more than $100,000 for Clinton. More important, Stephens' Worthen National Bank extended Clinton a $2 million line of credit in January, when the campaign was reeling under the allegations of adultery. It was Jackson Stephens who brokered the arrival of the Bank of Credit and Commerce International (BCCI) -- the bank later identified as an institution of preference for global criminals and drug peddlers -- into this country in 1977. He steered the bank's founder, Hassan Abedi, toward Jimmy Carter's budget director, Bert Lance, whose bank an Abedi front man took over. Stephens then helped clear the ground, according to SEC documents, for Abedi's secret takeover of First American Bankshares. In the wake of BCCI's downfall, these institutions are gravely weakened; other U.S. banks secretly taken over by BCCI -- including CenTrust, the biggest S&L in Florida, and Independence Bank of Encino -- have collapsed, leaving taxpayers holding the bag. Just as the BCCI trail heads back toward Arkansas and a prime cash register for the Clinton campaign, so too does a long-running and potentially explosive scandal within the state invite damaging investigation of the governor's role. As numerous stories in the Arkansas press have disclosed, the town of Mena in western Arkansas, and its airport, have long been cited as a regional center for international drug smuggling stemming from the arms trade with Nicaragua's Contras. In 1990 Winston Bryant, now state attorney general, made the subject a campaign issue, denouncing the do-nothing stance of state officials. As recently as last October, Rep. Bill Alexander rustled up $25,000 in federal money to force the state into action. But over the last four years, as state officials urged him to add gubernatorial clout and funding to the investigations, Clinton has done nothing. Last week, national reporters began to zero in on Clinton's role, asking why he did nothing, in the face of press reports about Mena, and what were his ties (or those of his security entourage) to people linked to these $100-million-a-week drug operations. Who wants a candidate destined to spend the next seven months explaining his past away? This is the candidate of pragmatism? Clinton's best hope is to label himself the irresistible bandwagon. But he still faces Brown, a resourceful and imaginative campaigner with a genuine vision. Clinton also faces the one enemy that will never quit the field, his own past. No one who wants to see Bush seriously challenged in November should regard the race for the Democratic nomination as over. This is the story that couldn't be suppressed. An investigative report into a scandal that haunts the reputations of three presidents — Reagan, Bush, and Clinton. Barry Seal — gunrunner, drug trafficker, and covert C.I.A. operative extraordinaire — is hardly a familiar name in American politics. But nine years after he was murdered in a hail of bullets by Medellin cartel hit men outside a Salvation Army shelter in Baton Rouge, Louisiana, he has come back to haunt the reputations of three American presidents. Seal's legacy includes more than 2,000 newly discovered documents that now verify and quantify much of what previously had been only suspicion, conjecture, and legend. The documents confirm that from 1981 to his brutal death in 1986, Barry Seal carried on one of the most lucrative, extensive, and brazen operations in the history of the international drug trade, and that he did it with the evident complicity, if not collusion, of elements of the United States government, apparently with the acquiescence of Ronald Reagan's administration, impunity from any subsequent exposure by George Bush's administration, and under the usually acute political nose of then Arkansas governor Bill Clinton. The newly unearthed papers show the real Seal as far more impressive and well-connected than the character played by Dennis Hopper in a made-for-TV movie some years ago, loosely based on the smuggler's life. The film portrayed the pudgy pilot as a hapless victim, caught in a cross fire between bungling but benign government agencies and Latin drug lords. The truth sprinkled through the documents is a richer — and altogether more sinister — matter of national and individual corruption. It is a tale of massive, socially devastating crime, of what seems to have been an official cover-up to match, and, not least, of the strange reluctance of so-called mainstream American journalism to come to grips with the phenomenon and its ominous implications — even when the documentary evidence had appeared. The trail winds back to another slightly bruited but obscure name — a small place in western Arkansas called Mena. Of the many stories emerging from the Arkansas of the 1980s that was crucible to the Clinton presidency, none has been more elusive than the charges surrounding Mena. Nestled in the dense pine and hardwood forests of the Oachita Mountains, some 160 miles west of Little Rock, once thought a refuge for nineteenth-century border outlaws and even a hotbed of Depression-era anarchists, the tiny town has been the locale for persistent reports of drug smuggling, gunrunning, and money laundering tracing to the early eighties, when Seal based his aircraft at Mena's Intermountain Regional Airport. From first accounts circulating locally in Arkansas, the story surfaced nationally as early as 1989 in a Penthouse article called "Snowbound," written by the investigative reporter John Cummings, and in a Jack Anderson column, but was never advanced at the time by other media. Few reporters covering Clinton in the 1992 campaign missed hearing at least something about Mena. But it was obviously a serious and demanding subject — the specter of vast drug smuggling with C.I.A. involvement — and none of the major media pursued it seriously During 1992, the story was kept alive by Sarah McClendon, The Nation, and The Village Voice. Then, after Clinton became president, Mena began to reappear. Over the past year, CBS News and The Wall Street Journal have reported the original, unquieted charges surrounding Mena, including the shadow of some C.I.A. (or "national security") involvement in the gun and drug traffic, and the apparent failure of then governor Clinton to pursue evidence of such international crime so close to home. "Seal was smuggling drugs and kept his planes at Mena," The Wall Street Journal reported in 1994. "He also acted as an agent for the D.E.A. In one of these missions, he flew the plane that produced photographs of Sandinistas loading drugs in Nicaragua. He was killed by a drug gang [Medellin cartel hit men] in Baton Rouge. The cargo plane he flew was the same one later flown by Eugene Hasenfus when he was shot down over Nicaragua with a load of contra supplies. In a mix of wild rumor and random fact, Mena has also been a topic of ubiquitous anti-Clinton diatribes circulated by right-wing extremists — an irony in that the Mena operation was the apparent brainchild of the two previous and Republican administrations. Still, most of the larger American media have continued to ignore, if not ridicule, the Mena accusations. Finding no conspiracy in the Oachitas last July, a Washington Post reporter typically scoffed at the "alleged dark deeds," contrasting Mena with an image as "Clandestination, Arkansas ... Cloak and Dagger Capital of America." Noting that The New York Times had "mentioned Mena primarily as the headquarters of the American Rock Garden Society," the Columbia Journalism Review in a recent issue dismissed "the conspiracy theories" as of "dubious relevance." A former Little Rock businessman, Terry Reed, has coauthored with John Cummings a highly controversial book, Compromised: Clinton, Bush, and the C.I.A., which describes a number of covert activities around Mena, including a C.I.A. operation to train pilots and troops for the Nicaraguan Contras, and the collusion of local officials. Both the book and its authors were greeted with derision. Now, however, a new mass of documentary evidence has come to light regarding just such "dark deeds" — previously private and secret records that substantiate as never before some of the worst and most portentous suspicions about what went on at Mena, Arkansas, a decade ago. Given the scope and implications of the Mena story, it may be easy to understand the media's initial skepticism and reluctance. But it was never so easy to dismiss the testimony arid suspicions of some of those close to the matter: Internal Revenue Service Agent Bill Duncan, Arkansas State Police investigator Russell Welch, Arkansas Attorney General J. Winston Bryant, Congressman Bill Alexander, and various other local law-enforcement officials and citizens. All of these people were convinced by the late eighties that there existed what Bryant termed "credible evidence" of the most serious criminal activity involving Mena between 1981 and 1986. They also believed that the crimes were committed with the acquiescence, if not the complicity, of elements of the U.S. government. But they couldn't seem to get the national media to pay attention. During the 1992 campaign, outside advisers and aides urged former California governor Jerry Brown to raise the Mena issue against Clinton — at least to ask why the Arkansas governor had not done more about such serious international crime so close to home. But Brown, too, backed away from the subject. I'll raise it if the major media break it first," he told aides. "The media will do it, Governor," one of them replied in frustration, "if only you'll raise it." Mena's obscure airport was thought by the I.R.S., the F.B.I., U.S. Customs, and the Arkansas State Police to be a base for Adler Berriman "Barry" Seal, a self-confessed, convicted smuggler whose operations had been linked to the intelligence community. Duncan and Welch both spent years building cases against Seal and others for drug smuggling and money laundering around Mena, only to see their own law-enforcement careers damaged in the process. What evidence they gathered, they have said in testimony and other public statements, was not sufficiently pursued by the then U.S. attorney for the region, J. Michael Fitzhugh, or by the I.R.S., Arkansas State Police, and other agencies. Duncan, testifying before the joint investigation by the Arkansas state attorney general's office and the United States Congress in June 1991, said that 29 federal indictments drafted in a Mena-based money-laundering scheme had gone unexplored. Fitzhugh, responding at the time to Duncan's charges, said, "This office has not slowed up any investigation ... [and] has never been under any pressure in any investigation." By 1992, to Duncan's and Welch's mounting dismay, several other official inquiries into the alleged Mena connection were similarly ineffectual or were stifled altogether, furthering their suspicions of government collusion and cover-up. In his testimony before Congress, Duncan said the I.R.S. "withdrew support for the operations" and further directed him to "withhold information from Congress and perjure myself." Duncan later testified that he had never before experienced "anything remotely akin to this type of interference.... Alarms were going off," he continued, "and as soon as Mr. Fitzhugh got involved, he was more aggressive in not allowing the subpoenas and in interfering in the investigative process." State policeman Russell Welch felt he was "probably the most knowledgeable person" regarding the activities at Mena, yet he was not initially subpoenaed to testify before the grand jury. Welch testified later that the only reason he was ultimately subpoenaed at all was because one of the grand jurors was from Mena and "told the others that if they wanted to know something about the Mena airport, they ought to ask that guy [Welch] out there in the hall." State Attorney General Bryant, in a 1991 letter to the office of Lawrence Walsh, the independent counsel in the Iran-Contra investigation, wondered "why no one was prosecuted in Arkansas despite a mountain of evidence that Seal was using Arkansas as his principal staging area during the years 1982 through 1985." In a mass of startling new documentation — the more than 2,000 papers gathered by the authors from private and law-enforcement sources in a year-long nationwide search — answers are found and serious questions are posed. These newly unearthed documents — the veritable private papers of Barry Seal — substantiate at least part of what went on at Mena. The papers include such seemingly innocuous material as Seal's bank and telephone records; negotiable instruments, promissory notes, and invoices; personal correspondence address and appointment books; bills of sale for aircraft and boats; aircraft registration, and modification work orders. Finally, there are extensive official records: federal investigative and surveillance reports, accounting assessments by the I.R.S. and the D.E.A., and court proceedings not previously reported in the press — testimony as well as confidential pre-sentencing memoranda in federal narcotics-trafficking trials in Florida and Nevada — numerous depositions, and other sworn statements. Mena, from 1981 to 1985, was indeed one of the centers for international smuggling traffic. According to official I.R.S. and D.E.A. calculations, sworn court testimony, and other corroborative records, the traffic amounted to thousands of kilos of cocaine and heroin and literally hundreds of millions of dollars in drug profits. According to a 1986 letter from the Louisiana attorney general to then U.S. attorney general Edwin Meese, Seal "smuggled between $3 billion and $5 billion of drugs into the U.S."
A former member of the Army Special Forces, Seal had ties to the Central Intelligence Agency dating to the early 1970s. He had confided to relatives and others, according to their sworn statements, that he was a C.I.A. operative before and during the period when he established his operations at Mena. In one statement to Louisiana State Police, a Seal relative said, "Barry was into gunrunning and drug smuggling in Central and South America ... and he had done some time in El Salvadore [sic]." Another then added, "lt was true, but at the time Barry was working for the C.I.A." In a posthumous jeopardy-assessment case against Seal — also documented in the archive — the I.R.S. determined that money earned by Seal between 1984 and 1986 was not illegal because of his "C.I.A.-D.E.A. employment." The only public official acknowledgment of Seal's relationship to the C.I.A. has been in court and congressional testimony, and in various published accounts describing the C.I.A. 's installation of cameras in Seal's C-123K transport plane, used in a highly celebrated 1984 sting operation against the Sandinista regime in Nicaragua. Robert Joura, the assistant special agent in charge of the D.E.A. 's Houston office and the agent who coordinated Seal's undercover work, told The Washington Post last year that Seal was enlisted by the C.I.A. for one sensitive mission — providing photographic evidence that the Sandinistas were letting cocaine from Colombia move through Nicaragua. A spokesman for then Senate candidate Oliver North told The Post that North had been kept aware of Seal's work through "intelligence sources." Federal Aviation Administration registration records contained in the archive confirm that aircraft identified by federal and state narcotics agents as in the Seal smuggling operation were previously owned by Air America, Inc., widely reported to have been a C.I.A. proprietary company. Emile Camp, one of Seal's pilots and a witness to some of his most significant dealings, was killed on a mountainside near Mena in 1985 in the unexplained crash of one of those planes that had once belonged to Air America. Among the aircraft flown in and out of Mena was Seal's C-123K cargo plane, christened Fat Lady. The records show that Fat Lady, serial number 54-0679, was sold by Seal months before his death. According to other files, the plane soon found its way to a phantom company of what became known in the Iran-Contra scandal as "the Enterprise," the C.I.A.-related secret entity managed by Oliver North and others to smuggle illegal weapons to the Nicaraguan Contra rebels. According to former D.E.A. agent Celerino Castillo and others, the aircraft was allegedly involved in a return traffic in cocaine, profits from which were then used to finance more clandestine gunrunning. F.A.A. records show that in October 1986, the same Fat Lady was shot down over Nicaragua with a load of arms destined for the Contras. Documents found on board the aircraft and seized by the Sandinistas included logs linking the plane with Area 51 — the nation's top-secret nuclear-weapons facility at the Nevada Test Site. The doomed aircraft was co-piloted by Wallace Blaine "Buzz" Sawyer, a native of western Arkansas, who died in the crash. The admissions of the surviving crew member, Eugene Hasenfus, began a public unraveling of the Iran-Contra episode. An Arkansas gun manufacturer testified in 1993 in federal court in Fayetteville that the C.I.A. contracted with him to build 250 automatic pistols for the Mena operation. William Holmes testified that he had been introduced to Seal in Mena by a C.I.A. operative, and that he then sold weapons to Seal. Even though he was given a Department of Defense purchase order for guns fitted with silencers, Holmes testified that he was never paid the $140,000 the government owed him. "After the Hasenfus plane was shot down," Holmes said, "you couldn't find a soul around Mena." Meanwhile, there was still more evidence that Seal's massive smuggling operation based in Arkansas had been part of a C.I.A. operation, and that the crimes were continuing well after Seal's murder. In 1991 sworn testimony to both Congressman Alexander and Attorney General Bryant, state police investigator Welch recorded that in 1987 he had documented "new activity at the [Mena] airport with the appearance of ... an Australian business [a company linked with the C.I.A. ], and C-130s had appeared...."
At the same time, according to Welch, two F.B.I. agents officially informed him that the C.I.A. "had something going on at the Mena Airport involving Southern Air Transport [another company linked with the C.I.A.] ... and they didn't want us [the Arkansas State Police] to screw it up like we had the last one." The hundreds of millions in profits generated by the Seal trafficking via Mena and other outposts resulted in extraordinary banking and business practices in apparent efforts to launder or disperse the vast amounts of illicit money in Arkansas and elsewhere. Seal's financial records show from the early eighties, for example, instances of daily deposits of $50,000 or more, and extensive use of an offshore foreign bank in the Caribbean, as well as financial institutions in Arkansas and Florida. According to I.R.S. criminal investigator Duncan, secretaries at the Mena Airport told him that when Seal flew into Mena, "there would be stacks of cash to be taken to the bank and laundered." One secretary told him that she was ordered to obtain numerous cashier's checks, each in an amount just under $10,000, at various banks in Mena and surrounding communities, to avoid filing the federal Currency Transaction Reports required for all bank transactions that exceed that limit. Bank tellers testified before a federal grand jury that in November 1982, a Mena airport employee carried a suitcase containing more than $70,000 into a bank. "The bank officer went down the teller lines handing out the stacks of $1,000 bills and got the cashier's checks." Law-enforcement sources confirmed that hundreds of thousands of dollars were laundered from 1981 to 1983 just in a few small banks near Mena, and that millions more from Seal's operation were laundered elsewhere in Arkansas and the nation. Spanish-language documents in Seal's possession at the time of his murder also indicate that he had accounts throughout Central America and was planning to set up his own bank in the Caribbean. Additionally, Seal's files suggest a grandiose scheme for building an empire. Papers in his office at the time of his death include references to dozens of companies, all of which had names that began with Royale. Among them: Royale Sports, Royale Television Network, Royale Liquors, Royale Casino, S.A., Royale Pharmaceuticals, Royale Arabians, Royale Seafood, Royale Security, Royale Resorts ... and on and on. Seal was scarcely alone in his extensive smuggling operation based in Mena from 1981 to 1986, commonly described in both federal and state law-enforcement files as one of the largest drug-trafficking operations in the United States at the time, if not in the history of the drug trade. Documents show Seal confiding on one occasion that he was "only the transport," pointing to an extensive network of narcotics distribution and finance in Arkansas and other states. After drugs were smuggled across the border, the duffel bags of cocaine would be retrieved by helicopters and dropped onto flatbed trucks destined for various American cities. In recognition of Seal's significance in the drug trade, government prosecutors made him their chief witness in various cases, including a 1985 Miami trial in absentia of Medellln drug lords; in another 1985 trial of what federal officials regarded as the largest narcotics-trafficking case to date in Las Vegas; and in still a third prosecution of corrupt officials in the Turks and Caicos Islands. At the same time, court records and other documents reveal a studied indifference by government prosecutors to Seal's earlier and ongoing operations at Mena. In the end, the Seal documents are vindication for dedicated officials in Arkansas like agents Duncan and Welch and local citizens' groups like the Arkansas Committee, whose own evidence and charges take on new gravity — and also for The Nation, The Village Voice, the Association of National Security Alumni, the venerable Washington journalists Sarah McClendon and Jack Anderson, Arkansas reporters Rodney Bowers and Mara Leveritt, and others who kept an all-too-authentic story alive amid wider indifference. But now the larger implications of the newly exposed evidence seem as disturbing as the criminal enormity it silhouettes. Like his modern freebooter's life, Seal's documents leave the political and legal landscape littered with stark questions. Officials repeatedly invoked national security to quash most of the investigations. Court documents do show clearly that the C.I.A. and the D.E.A. employed Seal during 1984 and 1985 for the Reagan administration's celebrated sting attempt to implicate the Nicaraguan Sandinista regime in cocaine trafficking. According to a December 1988 Senate Foreign Relations Committee report, "cases were dropped. The apparent reason was that the prosecution might have revealed national-security information, even though all of the crimes which were the focus of the investigation occurred before Seal became a federal informant." Tax records show that, having assessed Seal posthumously for some $86 million in back taxes on his earnings from Mena and elsewhere between 1981 and 1983, even the I.R.S. forgave the taxes on hundreds of millions in known drug and gun profits over the ensuing two-year period when Seal was officially admitted to be employed by the government. To follow the I.R.S. logic, what of the years, crimes, and profits at Mena in the early eighties, before Barry Seal became an acknowledged federal operative, as well as the subsequently reported drug-trafficking activities at Mena even after his murder — crimes far removed from his admitted cooperation as government informant and witness? "Joe [name deleted] works for Seal and cannot be touched because Seal works for the C.I.A.," a Customs official said in an Arkansas investigation into drug trafficking during the early eighties. "A C.I.A. or D.E.A. operation is taking place at the Mena airport," an F.B.I. telex advised the Arkansas State Police in August 1987, 18 months after Seal's murder. Welch later testified that a Customs agent told him, "Look, we've been told not to touch anything that has Barry Seal's name on it, just to let it go." The London Sunday Telegraph recently reported new evidence, including a secret code number, that Seal was also working as an operative of the Defense Intelligence Agency during the period of the gunrunning and drug smuggling. Perhaps most telling is what is so visibly missing from the voluminous files. In thousands of pages reflecting a man of meticulous organization and planning, Barry Seal seems to have felt singularly and utterly secure — if not somehow invulnerable — at least in the ceaseless air transport and delivery into the United States of tons of cocaine for more than five years. In a 1986 letter to the D.E.A., the commander and deputy commander of narcotics for the Louisiana State Police say that Seal "was being given apparent free rein to import drugs in conjunction with D.E.A. investigations with so little restraint and control on his actions as to allow him the opportunity to import drugs for himself should he have been so disposed." Seal's personal videotapes, in the authors' possession, show one scene in which he used U.S. Army paratroop equipment, as well as militarylike precision, in his drug-transporting operation. Then, in the middle of the afternoon after a number of dry runs, one of his airplanes dropped a load of several duffel bags attached to a parachute. Within seconds, the cargo sitting on the remote grass landing strip was retrieved by Seal and loaded onto a helicopter that had followed the low-flying aircraft. "This is the first daylight cocaine drop in the history of the state of Louisiana," Seal narrates on the tape. If the duffel bags seen in the smuggler's home movies were filled with cocaine — as Seal himself states on tape — that single load would have been worth hundreds of millions of dollars. Perhaps the videos were not of an actual cocaine drop, but merely the drug trafficker's training video for his smuggling organization, or even a test maneuver. Regardless, the films show a remarkable, fearless invincibility. Barry Seal was not expecting apprehension. His most personal papers show him all but unconcerned about the very flights and drops that would indeed have been protected or "fixed," according to law-enforcement sources, by the collusion of U.S. intelligence. In an interview with agent Duncan, Seal brazenly "admitted that he had been a drug smuggler." Government investigators apparently had no doubt about the magnitude of those crimes. According to Customs sources, Seal's operations at Mena and other bases were involved in the export of guns to Bolivia, Argentina, Peru, and Brazil, as well as to the Contras, and the importation of cocaine from Colombia to be sold in New York, Chicago, Detroit, St. Louis, and other cities, as well as in Arkansas itself. Duncan and his colleagues knew that Seal's modus operandi included dumping most of the drugs in other southern states, so that what Arkansas agents witnessed in Mena was but a tiny fragment of an operation staggering in its magnitude. Yet none of the putative inquiries seems to have made a serious effort to gather even a fraction of the available Seal documents now assembled and studied by the authors. Finally, of course, there are somber questions about then governor Clinton's own role vis-a-vis the crimes of Mena. Clinton has acknowledged learning officially about Mena only in April 1988, though a state police investigation had been in progress for several years. As the state's chief executive, Clinton often claimed to be fully abreast of such inquiries. In his one public statement on the matter as governor, in September 1991 he spoke of that investigation finding "linkages to the federal government," and "all kinds of questions about whether he [Seal] had any links to the C.I.A.... and if that backed into the Iran-Contra deal." But then Clinton did not offer further support for any inquiry, "despite the fact," as Bill Plante and Michael Singer of CBS News have written, "that a Republican administration was apparently sponsoring a Contra-aid operation in his state and protecting a smuggling ring that flew tons of cocaine through Arkansas." As recently as March 1995, Arkansas state trooper Larry Patterson testified under oath, according to The London Sunday Telegraph, that he and other officers "discussed repeatedly in Clinton's presence" the "large quantities of drugs being flown into the Mena airport, large quantities of money, large quantities of guns," indicating that Clinton may have known much more about Seal's activities than he has admitted. Moreover, what of the hundreds of millions generated by Seal's Mena contraband? The Seal records reveal his dealings with at least one major Little Rock bank. How much drug money from him or his associates made its way into criminal laundering in Arkansas's notoriously freewheeling financial institutions and bond houses, some of which are reportedly under investigation by the Whitewater special prosecutor for just such large, unaccountable infusions of cash and unexplained transactions? "The state offers an enticing climate for traffickers," I.R.S. agents had concluded by the end of the eighties, documenting a "major increase" in the amount of large cash and bank transactions in Arkansas after 1985, despite a struggling local economy. Meanwhile, prominent backers of Clinton's over the same years — including bond broker and convicted drug dealer Dan Lasater and chicken tycoon Don Tyson — have themselves been subjects of extensive investigative and surveillance files by the D.E.A. or the F.B.I. similar to those relating to Seal, including allegations of illegal drug activity that Tyson has recently acknowledged publicly and denounced as "totally false." "This may be the first president in history with such close buddies who have NADDIS numbers," says one concerned law-enforcement official, referring to the Narcotics and Dangerous Drugs Intelligence System numbers assigned those under protracted investigation for possible drug crimes. "I've always felt we never got the whole story there," Clinton said in 1991. Indeed. But as president of the United States, he need no longer wonder — and neither should the nation. On the basis of the Seal documents (copies of which are being given to the Whitewater special prosecutor in any case), the president should ask immediately for a full report on the matter from the C.I.A., the D.E.A., the F.B.I., the Justice Department, and other relevant agencies of his own administration — including the long-buried evidence gathered by I.R.S. agent Duncan and Arkansas state police investigator Welch. President Clinton should also offer full executive-branch cooperation with a reopened congressional inquiry, and expose the subject fully for what it says of both the American past and future. Seal saw himself as a patriot to the end. He had dictated his own epitaph for his grave in Baton Rouge: "A rebel adventurer the likes of whom in previous days made America great." In a sense his documents may now render that claim less ironic than it seems. The tons of drugs that Seal and his associates brought into the country, officials agree, affected tens of thousands of lives at the least, and exacted an incalculable toll on American society. And for the three presidents, the enduring questions of political scandal are once again apt: What did they know about Mena? When did they know it? Why didn't they do anything to stop it?